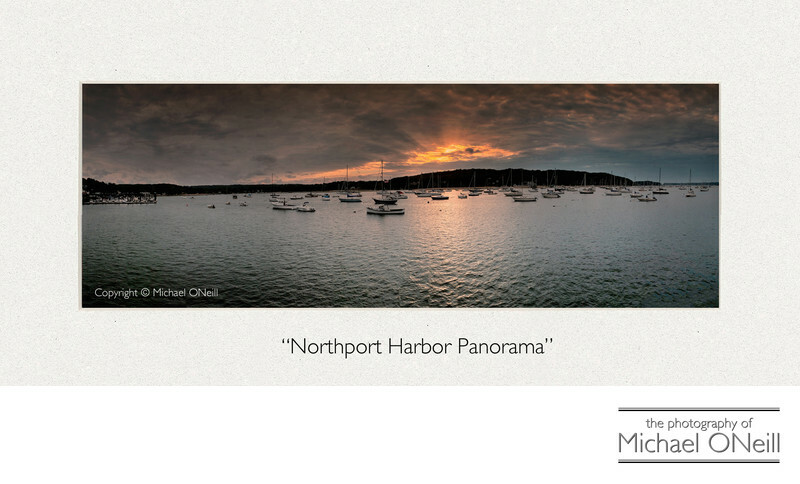 This panoramic view of Northport Harbor on Long Island, New York NY was created by village resident renowned photographer photographic artist Michael ONeill. Using a panorama capture technique the artist has created a sunset view looking west across the harbor towards Huntington, NY. This image has been added to the artist's highly collectible body of fine art print works.